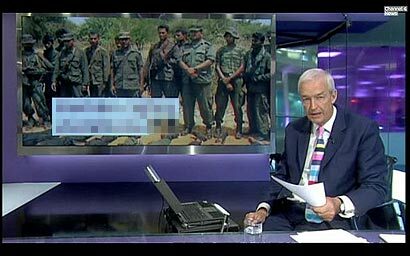 The Sri Lanka Army today said that the latest channel 4 video, released last night, featuring two soldiers, is a fake. yes this is not a thru am sure if they had this things on there hand before why not telecast and Howe come just now only .i can say i was in SLA and sow this thing during the war but its need to bee thru not just jock with any other country C4 need stop this things really we are trying to heal the wound and find concrete solution for this problem stupid west and pro LTTE tiring to get there shrinking Tammy back, when LTTE kill around sri lanka no one to say stop killing civilians, its very clear for us that C4 and some others NGO with west MARFIA tri to finish Sinhalese in sri lanka an this will be deferent issue if all Sinhalese was not Buddhist. Also those saying there Singhalese is sure there the gang was in LTTE paid list in last 30 years. Need to bring those sons of FB to public…..